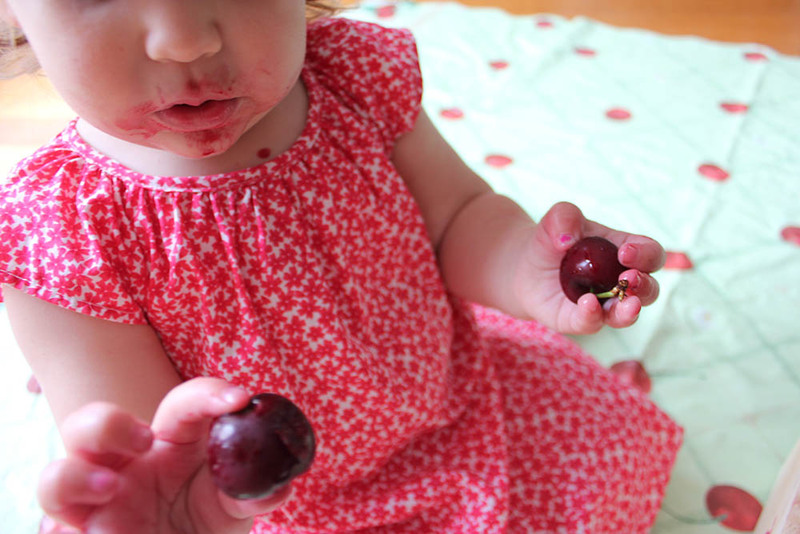 Cherry Loves Cherries + GIVEAWAY! Cherry just loooves cherries! 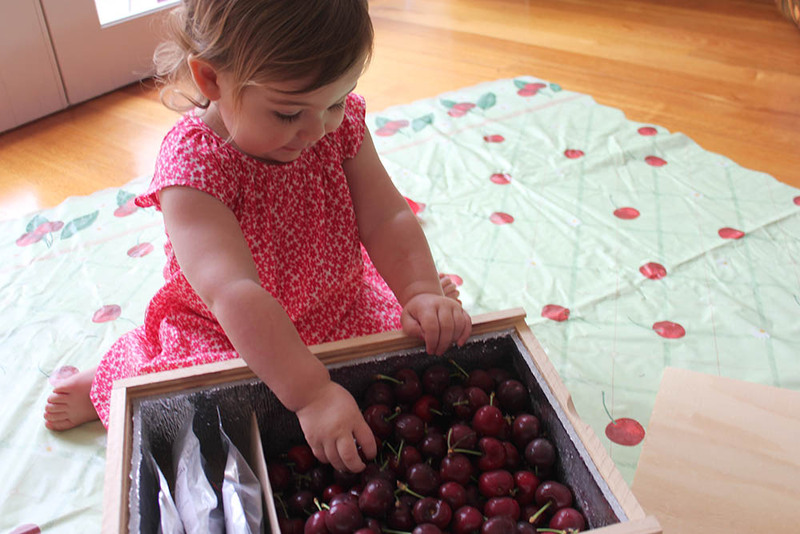 She was bursting with joy when our box of Turnbull Brothers cherries arrived on our doorstep! This week, one lucky Cherry and Me follower will WIN this box of Cherries delivered right to their doorstep just in time for Christmas! To enter the draw, simply LIKE Cherry and Me on Facebook and then share this link on your Facebook wall. Entries close midnight 15/12/12. The winner will be selected at random and notified via email. Good luck! 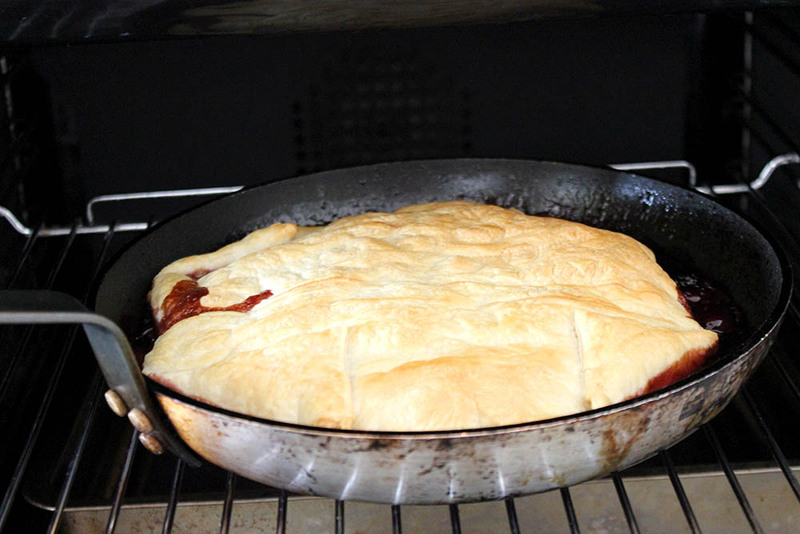 Throw in 500g of pitted cherries. 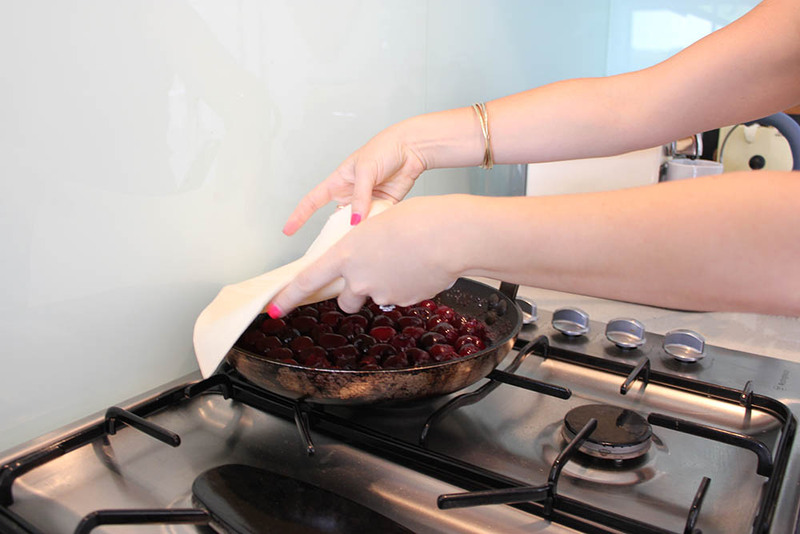 We invested in a cherry de-pipper to make life so much easier. Serve with a scoop of vanilla ice-cream. Yummy! Thank you to my darling husband for taking these gorgeous photos. 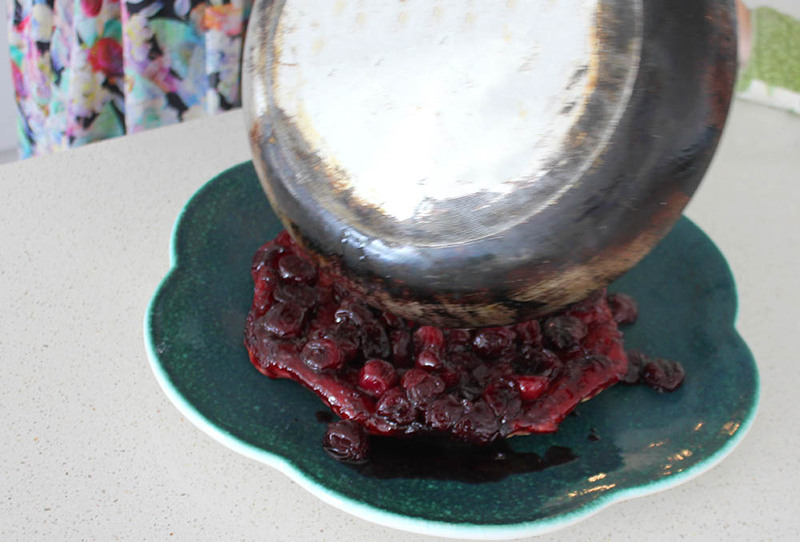 39 Responses to Cherry Loves Cherries + GIVEAWAY! 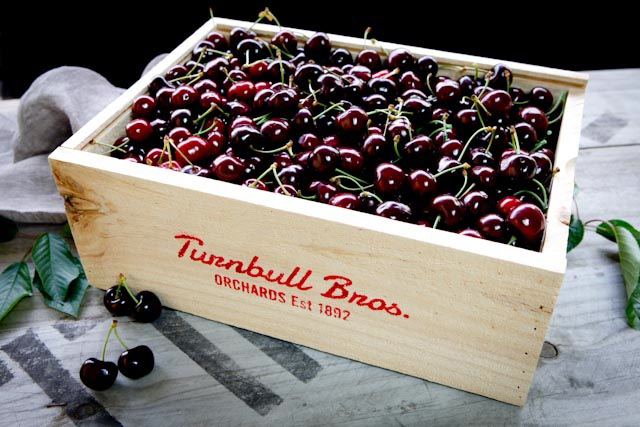 We love cherries lots and lots here, however I think I love that wooden box even more. Much more pretty than the giant supermarket bag we usually have. With 3 pregnancies Cherries were the only thing l ever craved. Unfortunately on my second pregnancy Cherries weren’t in season. I got my Cherries finally the day after l had my daughter, Nov 13th my birthday.. LOL My sister in law brought me in a bowl of cherries into the hospital for me. Now every birthday l anxiously await the arrival of cherries. 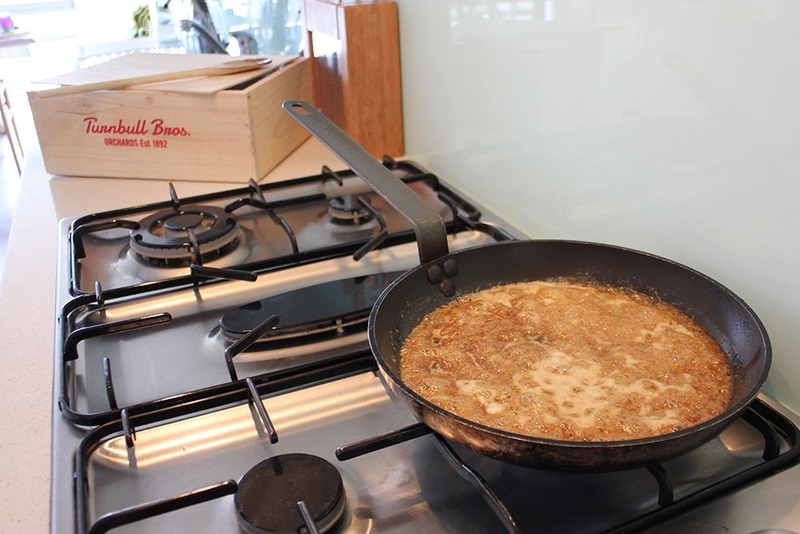 Would really love to win this l could eat a 2kg bag without being sick when l was expecting…. Yum! Share this pages link to my Facebook wall as well, also subscribes and liked your page. And love your Cherries of course. Remember enjoying cherries when I was a little girl,mum always recalls that there were twice as many cherry sticks as pips left on the plate !!!! 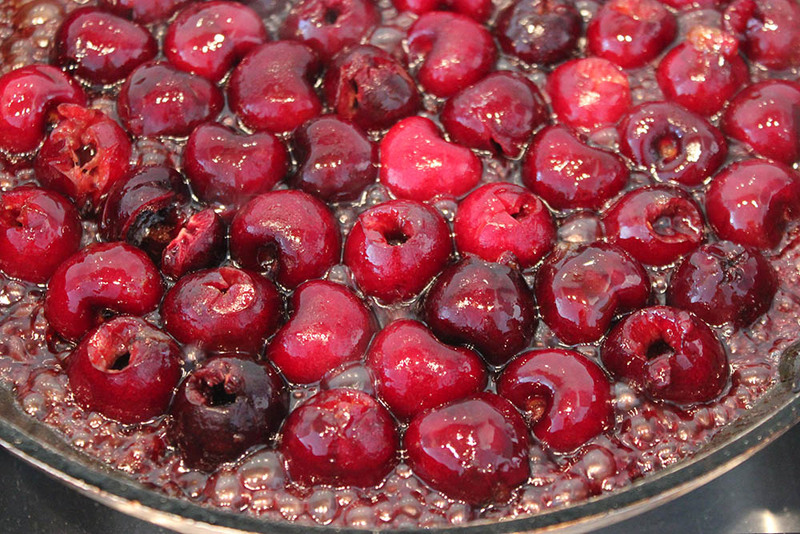 guess I enjoyed them too much,…..these cherries look so good. my mum’s favorite fruit. l have shared the facebbok page, liked and shared this page too. they look just awesome in that box!! I have just entered your giveaway and new subscriber too! Thanks for the chance, we love cherries here! 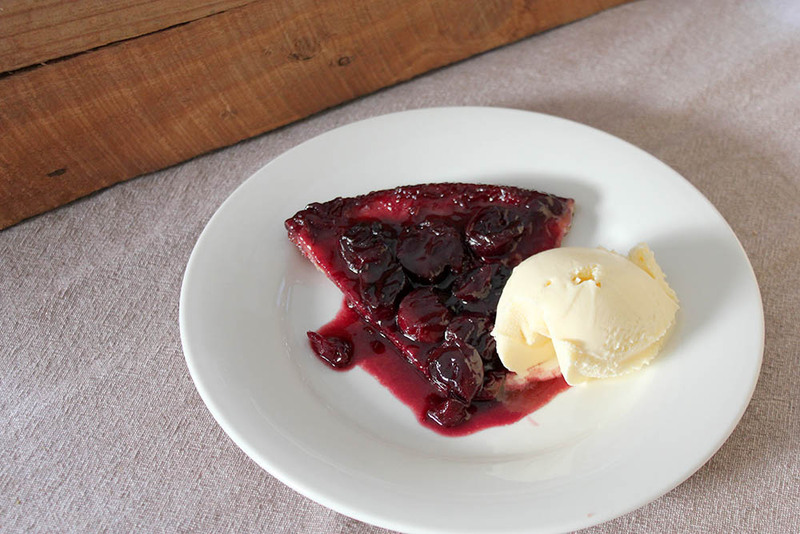 OMG I LOVE Cherries so much… love this time of year when they are readily available to eat..!!!! My Nanna used to preserve cherries in liquer, they looked so pretty given as gifts for Christmas with a big red gold and red bow around the neck of the jar. 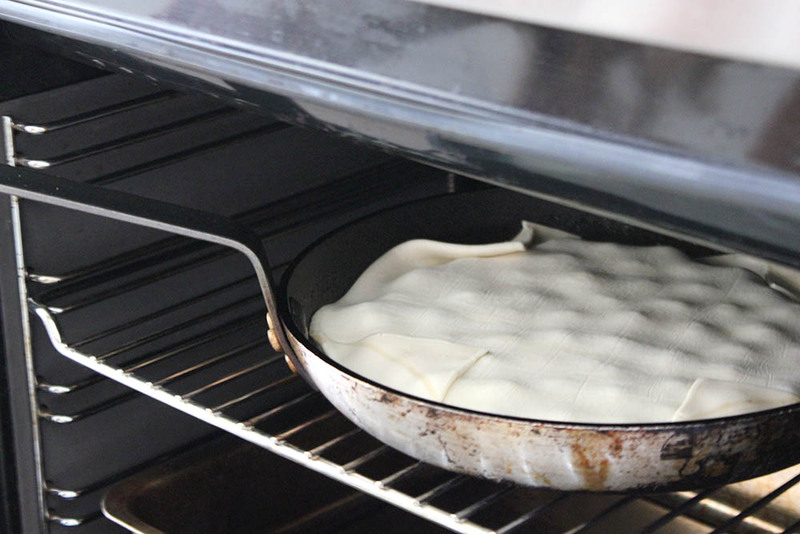 Your Tarte looks awesome. JUST what I need for the start of the home-made ice-cream season! I love the box as well but we fight over cherries in this house because hubby reckons we only buy them for him. He gets really bad gout & the doctor told him that cherries will help rid of gout & so far it has worked. The small round miracle red balls. 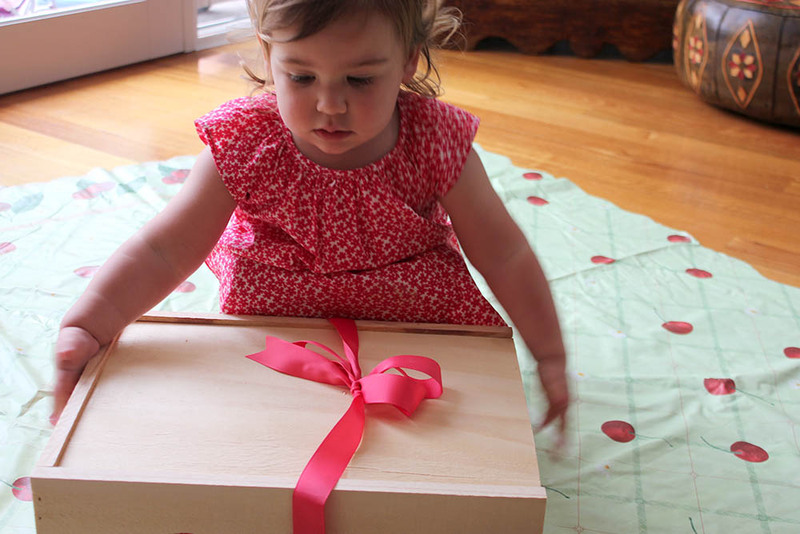 What a lovely…and unusual gift this beautiful box of cherries would make! Entered fingers crossed what a lovely prize for christmas! I just love it when Cherry season starts! Even the box they come in looks good! Yum, that box looks delish. What a great way to get exposure for your blog too. single mum with 2 kids who loveee cherries they would eat them all day non stop I was the same as a kid and even now as a adult but the cost is the only factor that has to slow us down I know if I won this would make their xmas come true they are huge fruit eaters and by winning this I would share some with my family xmas day so the best of both worlds! I love those photos!!! 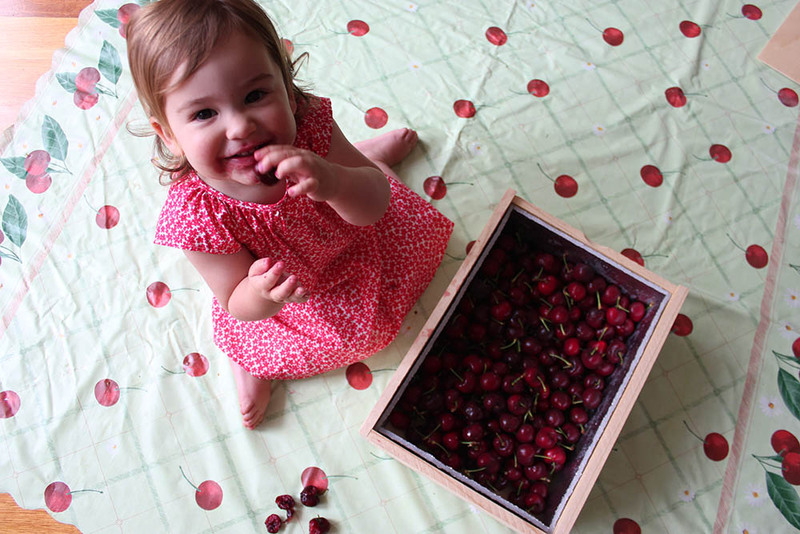 I will have to get my two girls (3&1.5) some cherries tomorrow I think – you’ve inspired me! 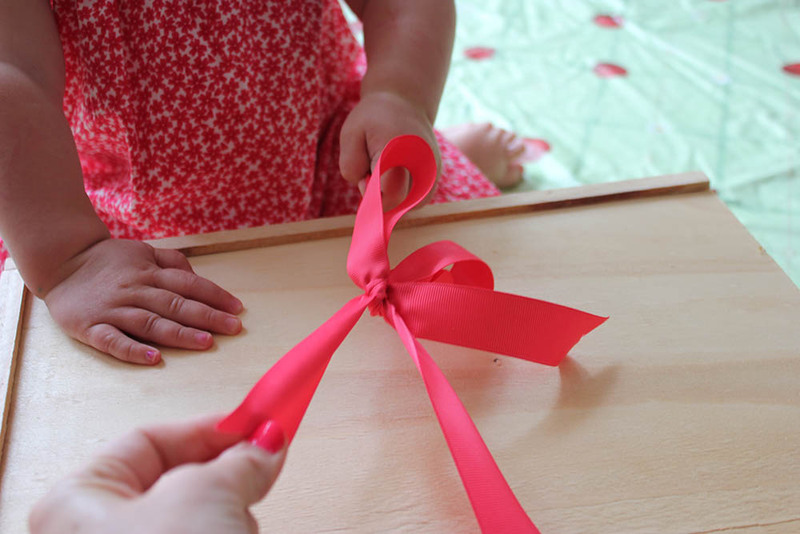 It will be the youngest’s first taste – cant wait to see what she thinks! 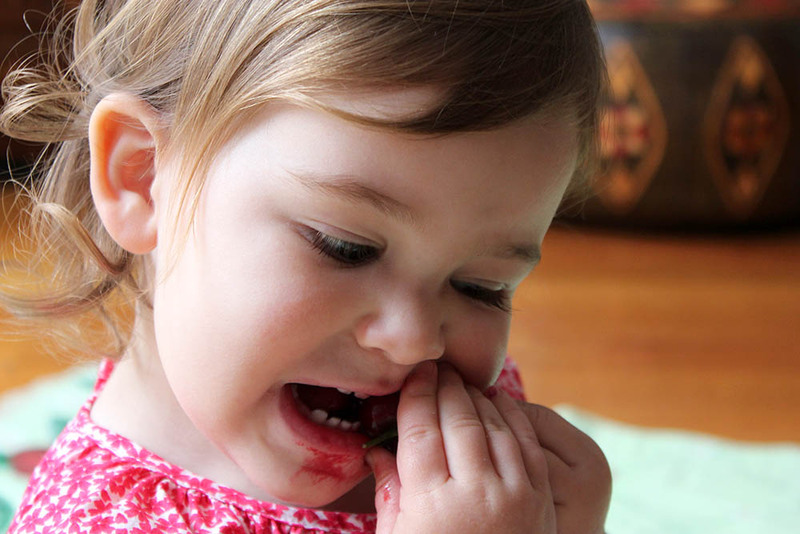 I love cherries, they’re my favourite!! A whole box would make me a very happy girl!! 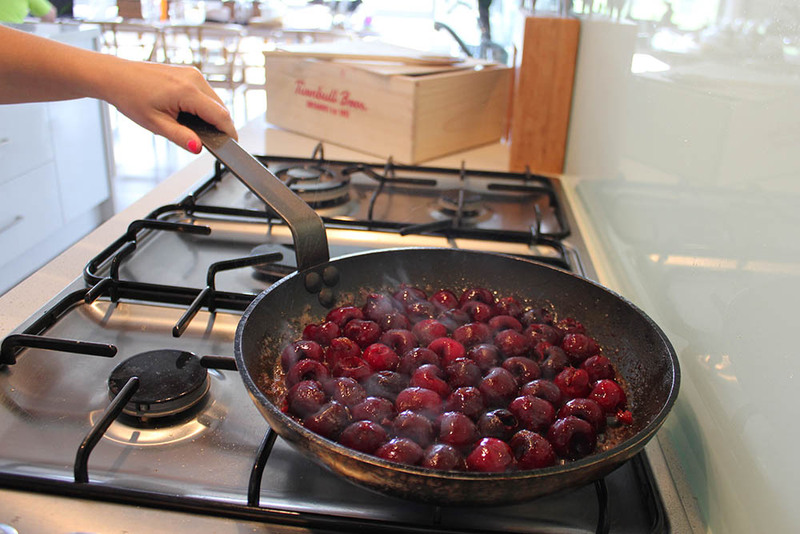 We don’t ordinarily buy cherries because of the cost per kg, but they would be a special treat for my family and in-laws if they were to take pride and place on the Christmas table this year. Would love to win a box!!! We’d have 5 adults and 3 children indulging, plus those drop ins that always occur on Christmas Day. Such beautiful presentation! A great corporate gift idea. Awesome giveaway! If I don’t win I’m going to have to buy some yo make this! Thsnk you! I can almost taste them, love this time of the year!